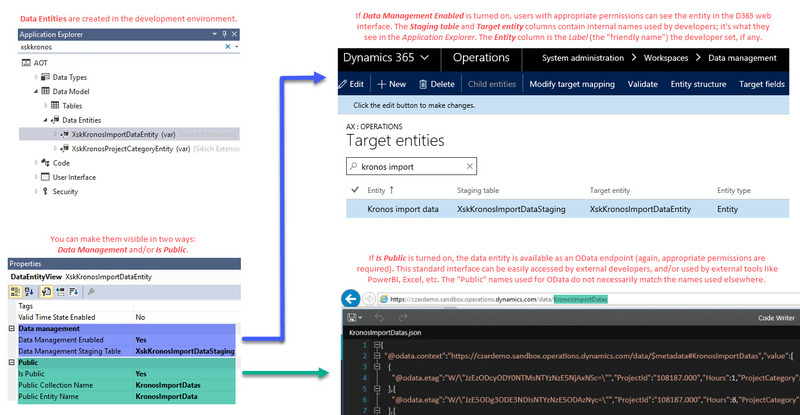 The language and visibility of Data Entities and OData might be a little confusing for some users who are not sure about what they can see in the Dynamics 365 for Finance and Operations web GUI versus what is available via OData (in PowerBI, Excel, etc.) for them. I made this graphic to explain it, if it helps you.